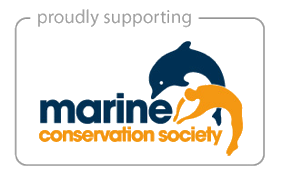 To focus our ongoing charitable efforts, we have chosen to partner with two charities – The Marine Conservation Society, the UK’s leading charity for the protection of our seas, shores and wildlife, and bibic, a charity providing services and therapy to help children with disabilities and developmental difficulties reach their potential and live happy, fulfilling lives. Please click on the logos to find out more about the work of these charities. We are committed to working with our chosen charities, MCS and bibic – raising much-needed donations and raising awareness of their valuable work. Please see below our recent initiatives to support MCS and bibic as well as news on the individual charitable efforts of our consultants.